Christmas Is Coming — And Changeling’s Christmas Spirits are here! 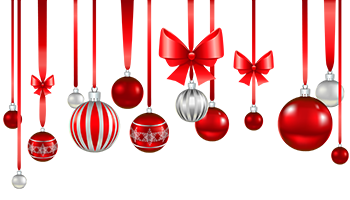 Christmas Spirits Celebration — Win Free Books For A Year! Naughty Nights of Christmas — Twelve Changeling winners will receive one e-book of your choice from ChangelingPress.com. Five Christmas Magic winners will each receive Free Books For A Year — Five winners, one e-book a month, 12 books each for 2019 from ChangelingPress.com. Two Christmas Magic winners will receive one book a week all year — Two winners, 52 e-books each, for 2019 from ChangelingPress.com. The best part — all you have to do is buy any Christmas themed book at ChangelingPress.com. between November 23rd and December 31st, 2018, and you’re automatically entered to win. Winners will be chosen randomly from purchasers of books in the Changeling Press Christmas Theme at ChangelingPress.com. Each Christmas e-book purchase made at ChangelingPress.com between November 23rd and December 31st 2018 when the winners are announced counts as an entry. Winners will be announced December 31st at our annual Changeling New Year’s Eve Party, held on the Changeling Bar and Grill, and the Changeling Facebook Page. Winners may choose any Changeling Press E-book currently in production at ChangelingPress.com at the time the prize is awarded. Free e-book download links will expire if not used within 30 days from the date on which they were awarded. Christmas Spirits titles will also be available for purchase at Amazon.com, BN.com, Kobo, and iTunes. Purchases made at these locations will not count as contest entries. Only purchases made at ChangelingPress.com. between November 23th and December 31st, 2018 will be eligible for prizes. ‹ Changeling Press @ TRS 12/4/18	› November Round Up at Changeling — Christmas Spirits Are Here — Win Free Books For A Year!